Before going to China I had a few preconceived ideas about what to expect, and whilst some of them were right I was also wrong too. In my mind I imagined there would be lots of history and interesting culture, but I also thought that every city except Shanghai would be quite old, and honestly…. maybe a bit dirty and polluted too! Whilst I was certainly right about the history and culture, I was very wrong about the cities themselves. All the cities had their ‘not so nice areas’, but this is as you would expect with any city anywhere in the world. Xian especially surprised me with its modern tree-lined avenues, and relaxed atmosphere. 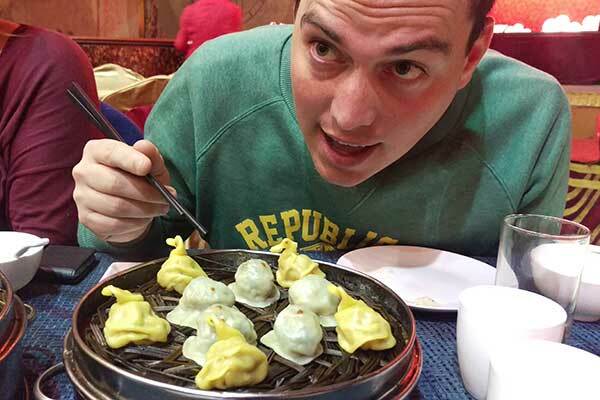 Of the three cities I visited – Beijing, Xian & Chengdu, there was so much culture and history to be seen and I want to tell you about some of my favourite bits. Well, for me there is no competition for the top spot here- It has to be the Great Wall! I had high expectations for this visit and it certainly did not disappoint. 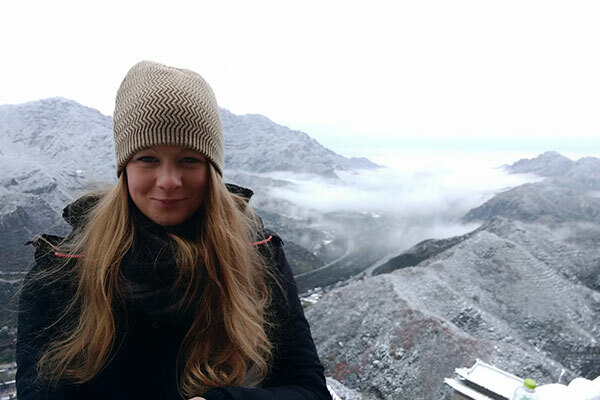 We went to a section known as Juyongguan Pass, which is much quieter than most popular Badaling section and meant that we were not constantly jostling for space. This section is a lot steeper than Badaling and there are a lot of steps involved, some of them higher than my knees! You can choose to climb as high as you want, we climbed as far as we could in the time we had and the view was absolutely amazing. 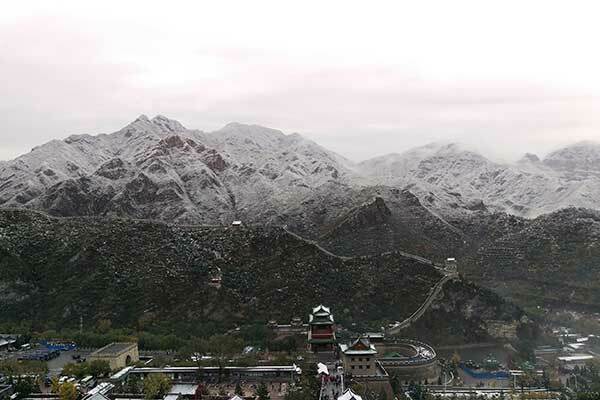 The first snow of the year had just arrived in Beijing, so everything had a white dusting and it was beautiful. Top Tip - if you visit this part of the wall remember to go and get your free certificate to prove that you walked the wall. Of course Beijing has so many other famous sites worthy of a visit, including Tiananmen Square which is well known for the protests of 1989 and The Forbidden City which is the largest palace complex in the world and home to the best-preserved ancient buildings in the country. 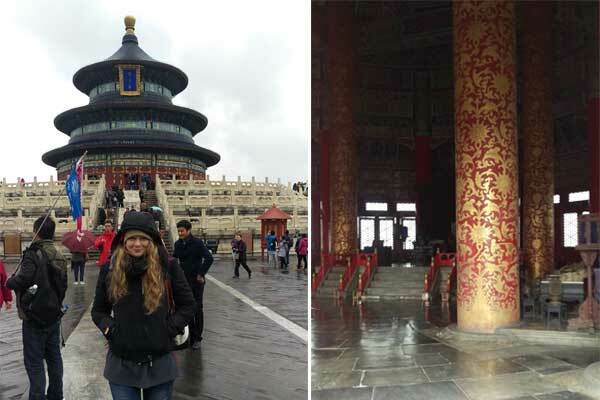 If this isn’t enough then you can take a stroll around the Temple of Heaven and its gardens, and watch the locals practice Tai Chi or play games. The Summer Palace is another option, offering China’s best-preserved Imperial Garden. 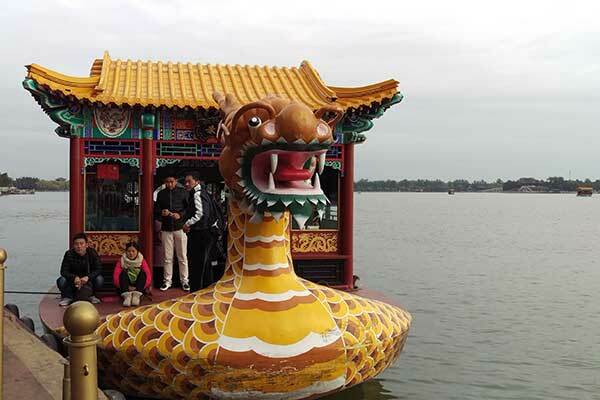 Here you can take a dragon boat across the lake and relax in the 2.9 million sq. meters of space. For a bit of evening entertainment a Chinese acrobatic show is sure to surprise, amaze and shock you! With traditional colourful costumes and daring acts it makes for a heart-stopping few hours and a nice end to a stay in China’s capital city. 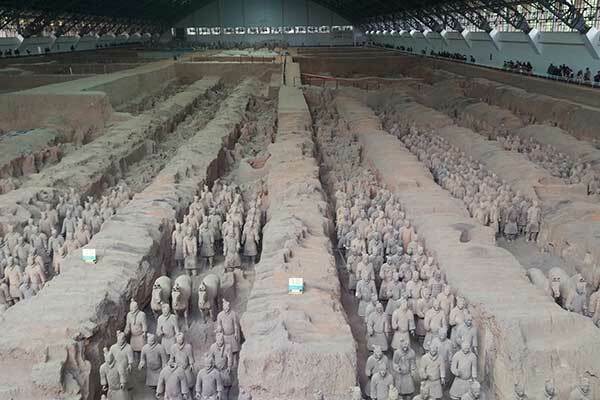 This city is of course famous for The Terracotta Army, created on demand by a Chinese Emperor who wanted to make sure his tomb was protected after his death. This was a huge archaeological discovery made accidentally back in 1974 by a farmer who was digging a well. However, despite the fact that this was over 30 years ago excavation is still not complete. The work is painstakingly slow as many of the 8,000 warriors were heavily damaged by the collapse of their tunnels and a fire that was set in 209BC. There are three pits you can visit, with the first one offering the best view of the warriors as these have all been unearthed and re-assembled. The third pit is still virtually untouched and a visit in here will show you the start of the excavation work with a lot of tiny labelled pieces of the warriors, almost like an extremely complicated jigsaw puzzle. Work has also been delayed in this last pit as when the army was built back in 221BC they were in fact painted, but when they are uncovered the paint wears off and so a solution is being sought to preserve this before works continue. Top Tip – Make sure you visit the fourth building on this site which houses a small exhibit showing the history of the warriors and their discovery. You may even get the chance to meet with the farmer who made the discovery back in 1974. Before my visit here, I didn’t really think there would be much else worth seeing in Xian but a trip to the Old City Wall should definitely be on the cards. It is a 500 year old barricade which was to protect the city and is one of the only walls that has remained naturally intact in China. It is of considerable size at nearly 14km round, so you can choose to hire a bike or electric car to explore instead of walking. End your visit here with a traditional dumpling dinner, a speciality of this region and Tang Dynasty dancing - a show of dance and music dating back to the Tang Dynasty period. 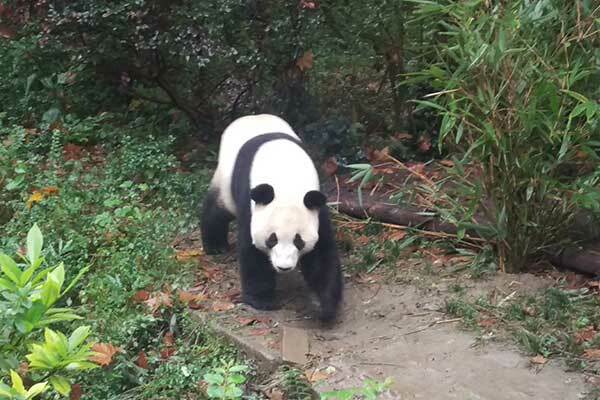 To me Chengdu always meant Panda Conservation, but as with the other cities in China there are so many other things to see and do here. However, I have to say that the Pandas are still my number one ‘must-do’ here. With less than 2,000 Giant Pandas left in the world (in the wild and captivity), the Chengdu Research Base of Giant Panda breeding is doing a lot of work to protect these gorgeous animals. Opened in 1995 it offers a protected wilderness and breeding area, museum and research facility. You can observe the Panda cubs as they are being reared (often this needs to be with the help of the researchers), as well as the adult Pandas in enclosures throughout the park. 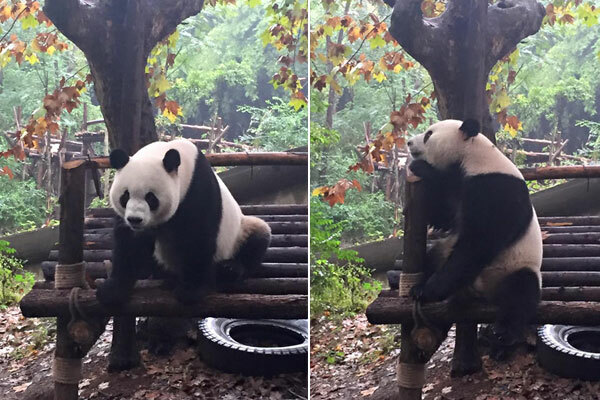 If you are lucky like we were, you might find one of the Panda’s even strikes an accidental pose for the camera. Top Tip – Make sure you go to the small theatre on site and watch the short film about the centre, as this showcases the work they have done and how they are helping the Giant Panda. Whilst in Chengdu be sure to visit the The Grand Buddah of Leshan (literal translation is The Grand Buddha of the Happy Mountain). The river here was fast flowing and took the lives of many fishermen, so the Buddha was built as a place to pray for calmer waters. The best place to see the Buddha in full is from a boat (don’t worry the river is much calmer these days). 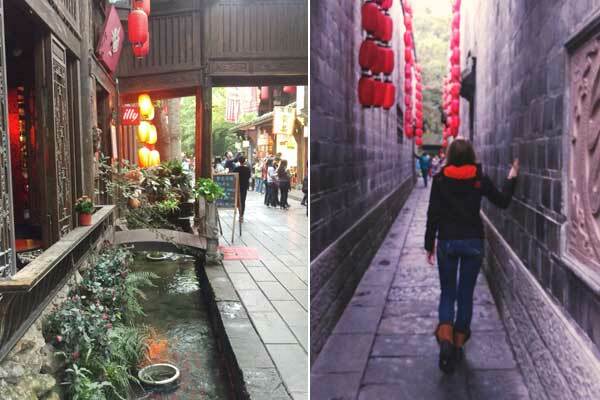 For a bit of souvenir shopping take a worthwhile trip to Jinli Street. This is an ancient street which dates back as early as 221-2106BC. It offers an array of narrow streets to wander, where you can find Shu Embroidery, calligraphy and other handicrafts. If you fancy a drink or a bite to eat it has a number of atmospheric bars and restaurants too. 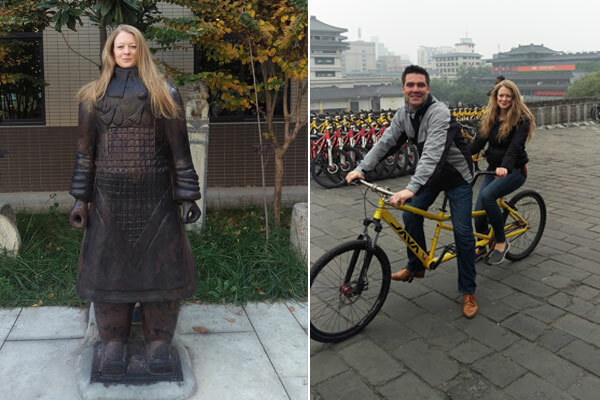 So, there is no disputing that China has so much to offer with a vast array of cultural and historical sites to see – it would be impossible to ever get bored here! Beijing, Xian and Chengdu are just three of the many cities throughout China and are just the start of the adventures and memories you can make in this wonderful country. For more information about cruising in Asia, sign up for our new Asia brochure.